August 30, 2007. Tim sent in the following pictures and (edited) email. Brigadoon recently made a long trip from her old home in San Diego to her new home in Illinois. 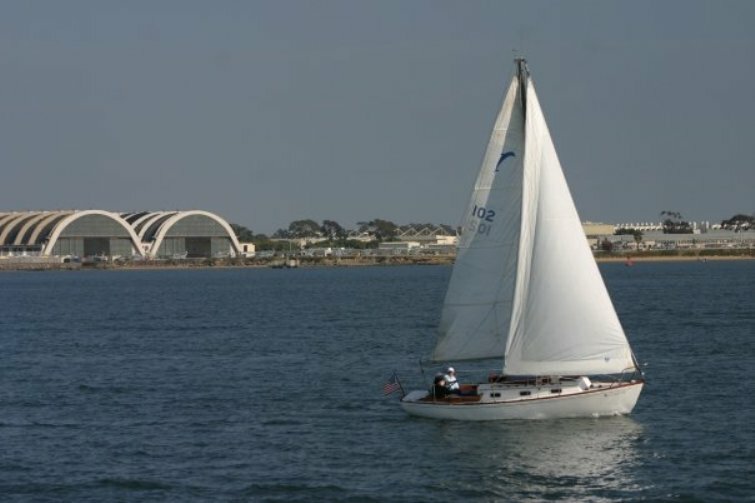 In these pictures Brigadoon is in her old slip at San Diego YC. 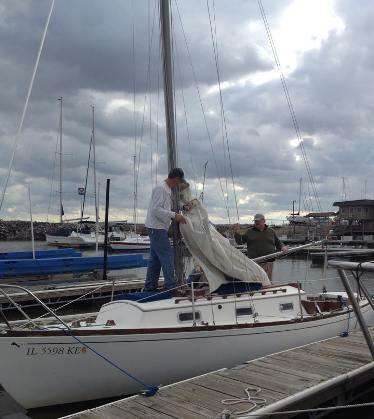 I’m the current owner of Yankee Dolphin #102, named Brigadoon. 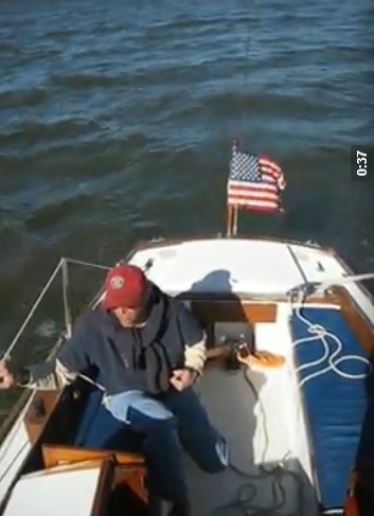 This boat is a 1968 model. This boat has been in my family since the summer of 1979. Before that it had only two other owners and was berthed in Dana Point. 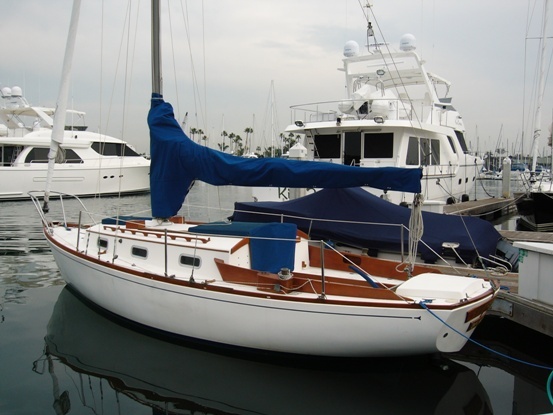 Several people have lived aboard her and it was raced in Dana Point in the mid `70’s. 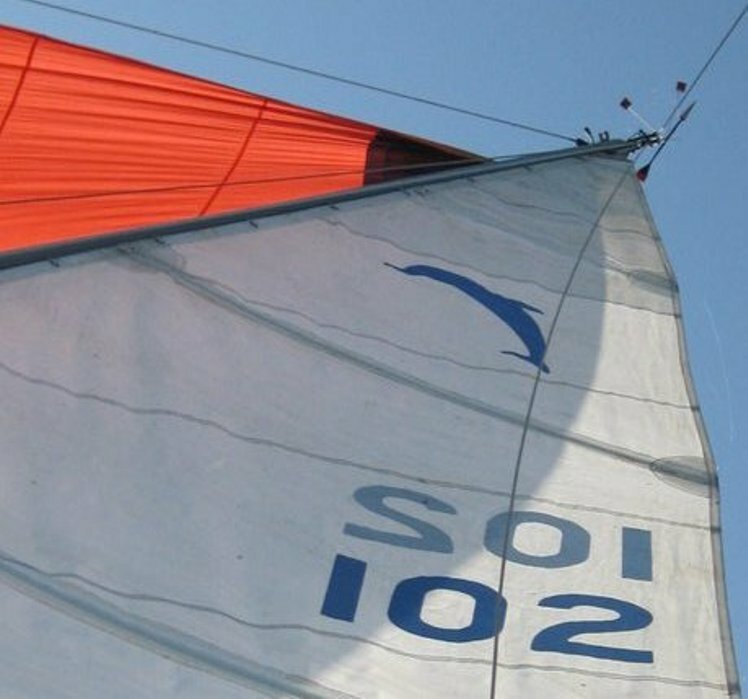 It is absolutely loaded with racing and cruising gear. The interior has custom cabinet work with dolphin cutouts in the door panels. It even has a built-in wine cellar. 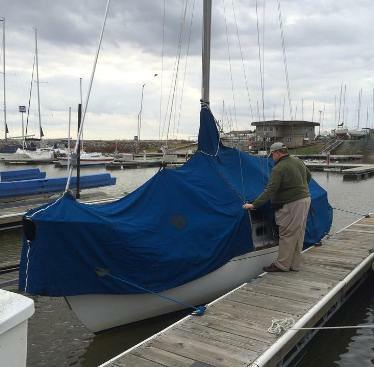 Until earlier this year the boat resided on `C’ dock at the San Diego Yacht Club. 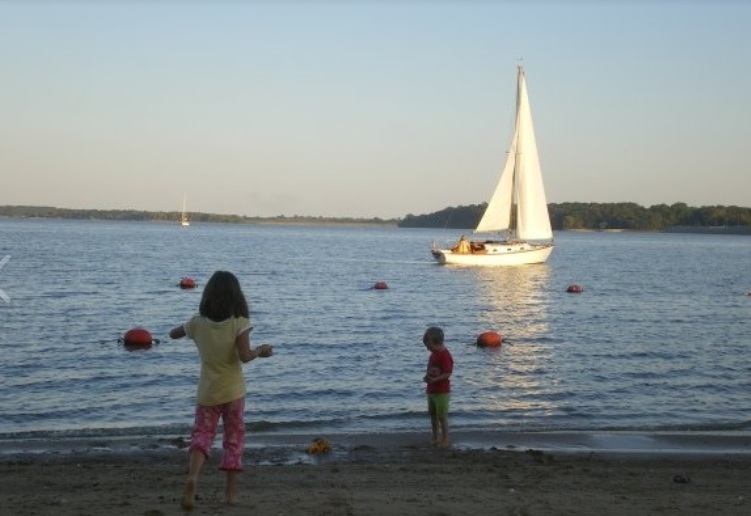 I have inherited it and it now resides on Carlyle Lake, Illinois. These pictures are from 2005. Please add me to the register. The website looks great! Let me know how I can contribute. We received the following email back in February, 2008. Somehow it slipped through the cracks in getting up on Brigadoon's page. Just found your website. Walt and Marty Crichlow were the original owners of "Brigadoon". 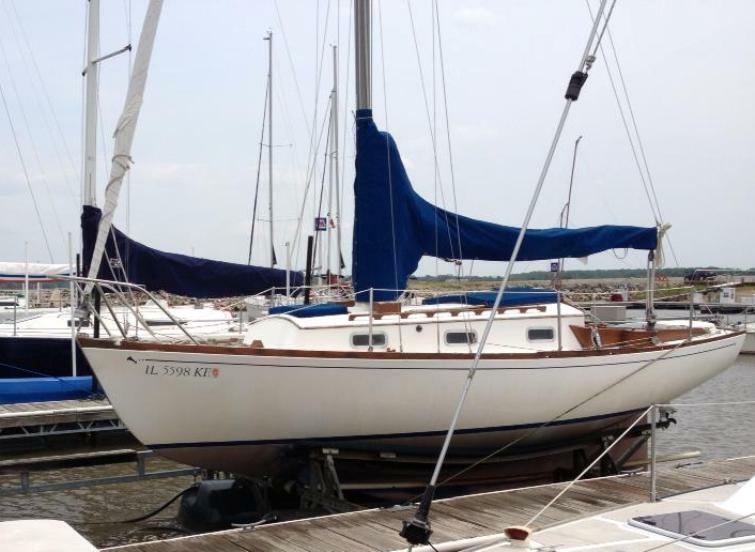 We bought her new in 1968, sailed and loved her, lived aboard for 2 years with 2 cats, an old english sheepdog, and a 2 month old son, until we moved ashore around 1972, when we sold her to a friend, who kept her at Dana Pont. We now own a 1979 Erickson MkII 35 ft , also named "Brigadoon". 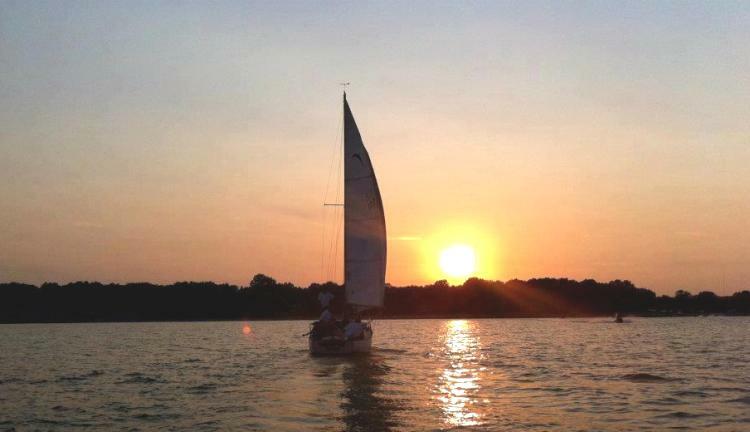 For years we have looked for our old boat, with dreams of having her back again. So glad to find that she is well cared for and in beautiful shape. Hope her new owner is happy with her. Walt did all of the custom cabinetry, including the wine cellar, and name boards. 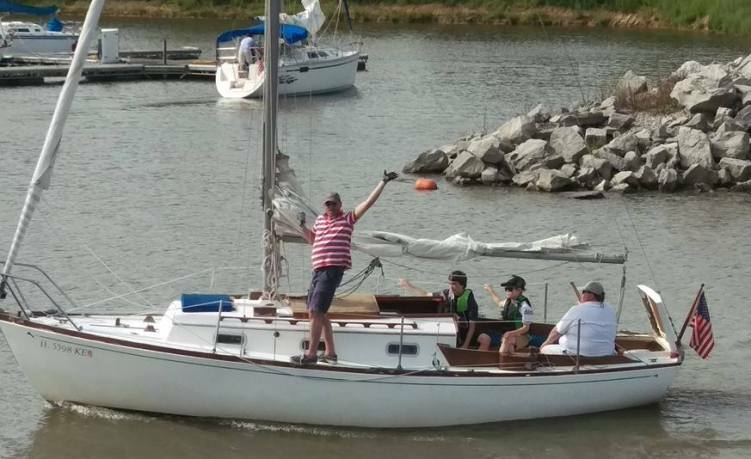 We would like to contact Tim Busse to hear how our old boat is doing, please forward this email to Tim and ask him to contact us. Thanks. 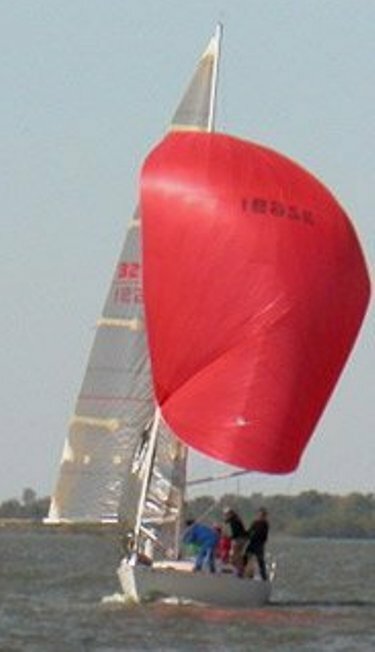 As promised here are some photos of Yankee Dolphin 102 taken yesterday at Carlyle Lake, Illinois. 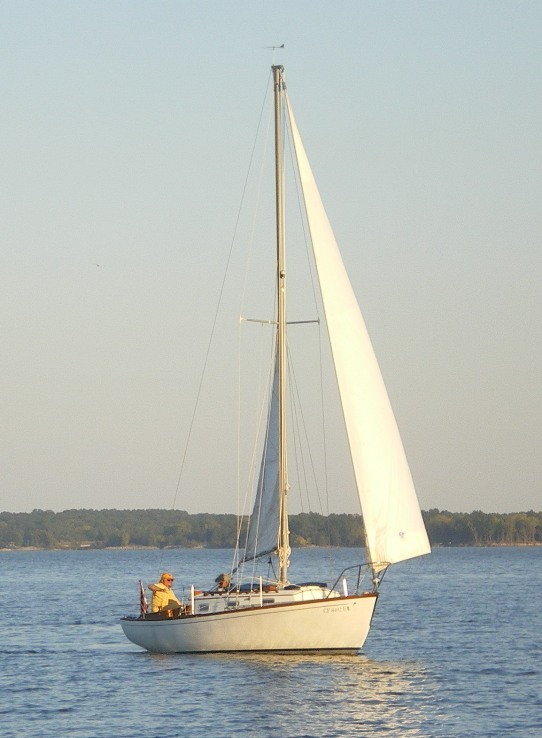 Brigadoon has been sailed quite a bit this summer and we have maybe 4-5 more weeks in the season before we need to put her away for the winter. The magazine picture was good, this scan is poor, but the same picture is above, and is spectacular! June 14, 2009. The Crichlow's keep a close eye on their old boat. 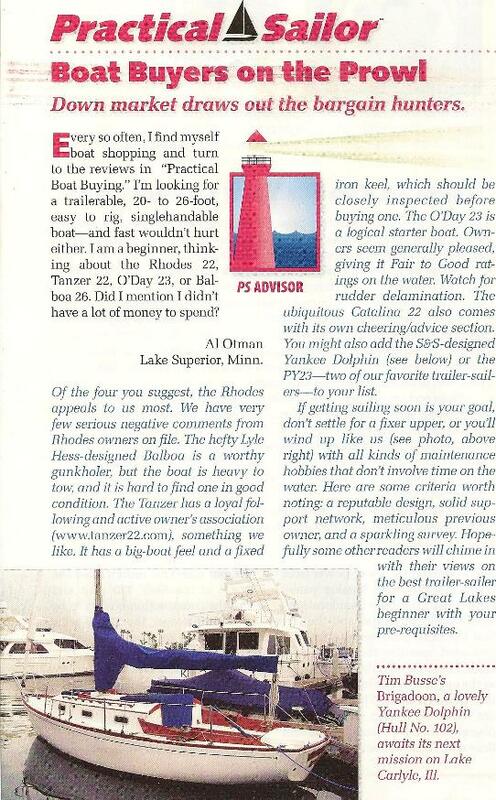 Marta is a Practical Sailor reader and did not miss the above article. Here is her letter to the Editor that appeared in the June issue. May 28, 2013 Brigadoon's Hydro Hoist - beats scrubbing the bottom! Tim likes to go fast! December 3, 2014. Brigadoon is on Facebook again - Its end of season time. We picked up a couple of photos that appear below. Click here to see several more. November 25, 2016. We got a short update from Tim - its been a quiet year for Brigadoon, not so quiet for Tim and his family. Sorry to report no Dolphin news here. Brigadoon only left her slip Memorial Day this year as my year was subsumed with care for my 85 year old father, Brigadoon's third owner. Come Spring I will have her hauled for a new bottom and necessary teak work. Meanwhile, hope we both have a short winter!